Made of 30 gauge clear flexible acrylic material, the side view vinyl door panel enclosure will prepare any RZR owner for cold, rainy weather. This side view vinyl door panel enclosure will work great with J.Strong's accessory line-up including the J.Strong rear dust guard. 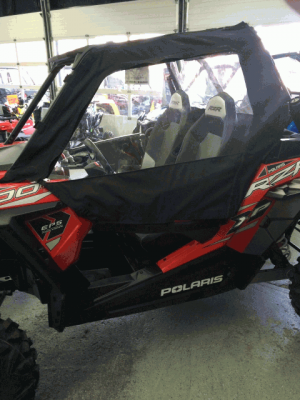 Made of 30 gauge clear flexible acrylic, the Polaris RZR rear dust/rain guard is one of the clearest views available. 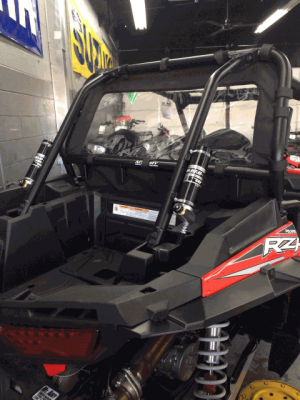 The perfect addition to a Polaris RZR owner's accessory line-up.